This is my 100th post! I need to celebrate it by posting a nail art with my signature color and my favorite animal! 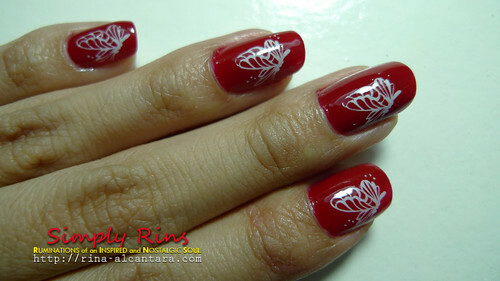 I must confess that I've done this nail art a few weeks ago but reserved it for my 100th post here at Simply Rins. and a layer of top coat. 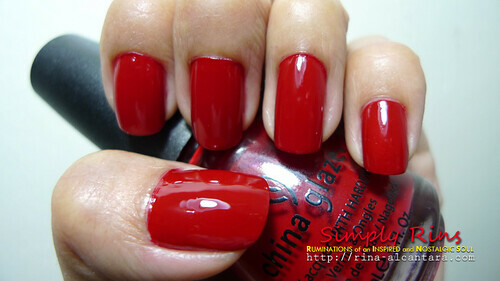 This is my one and only China Glaze nail polish. Unfortunately, I can't find a local store that carries this brand. I was able to buy this bottle from a nail salon and there were only a few choices. As of date, this is one of my favorites. 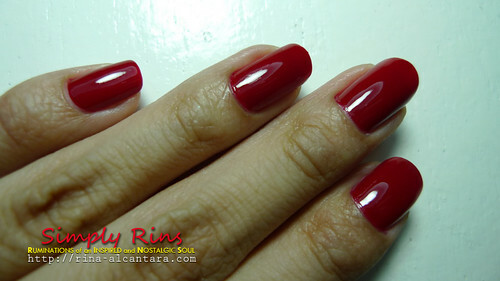 I love the shade and shine of this red nail polish. Stamp design from Konad m53 image plate. my nails were a little long when I did this. Thanks for tolerating the picture overload in this post. I just really love this color! Congrats on the 100th post. 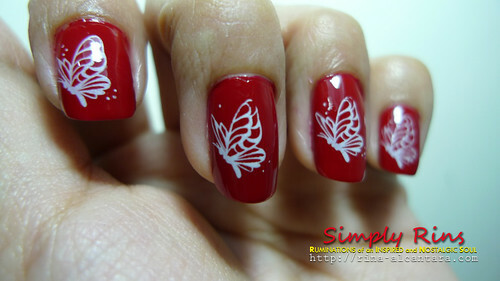 love the butterfly image...i too love butterflies. Thanks so much, Alikat789! 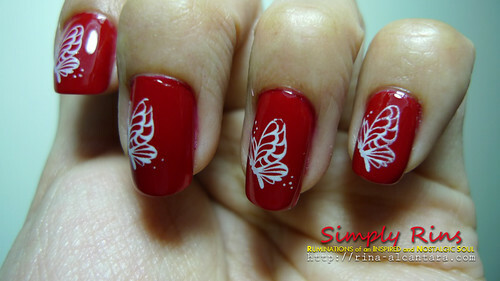 :) I'm now challenging myself to post 100 nail art design before my birthday next year! Wish me luck!